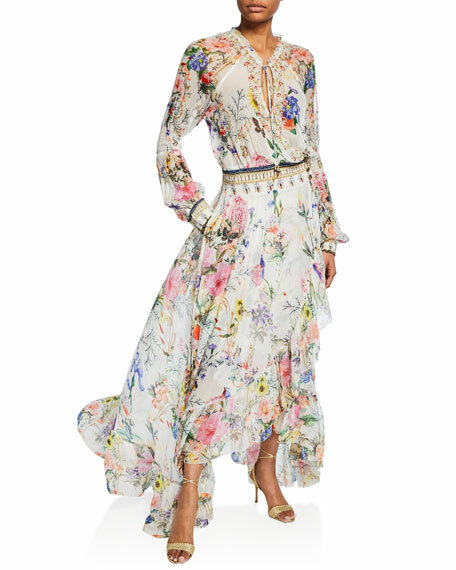 By Onia, an easy, lightweight cover-up doubles as a great summer dress. 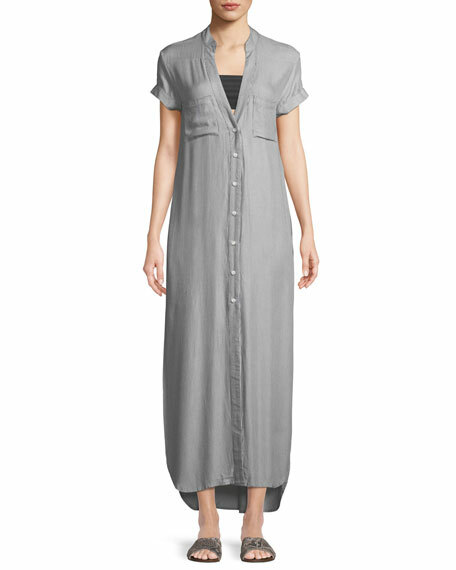 Features include a center front button placket, side slits and on-seam hidden pockets. 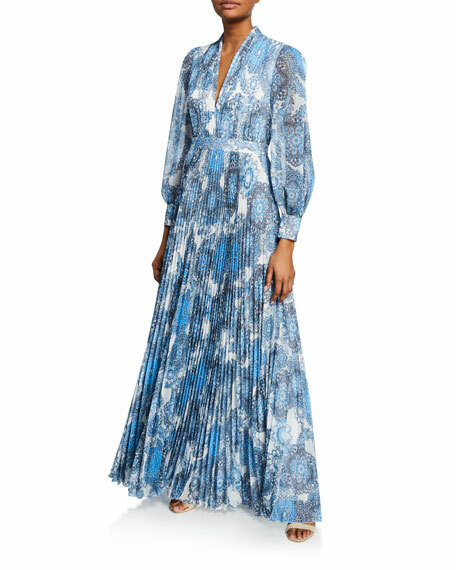 Onia "Kim" lightweight micro-pattern coverup maxi shirtdress. Banded collar with split neckline; button front. For in-store inquiries, use sku #2524881. 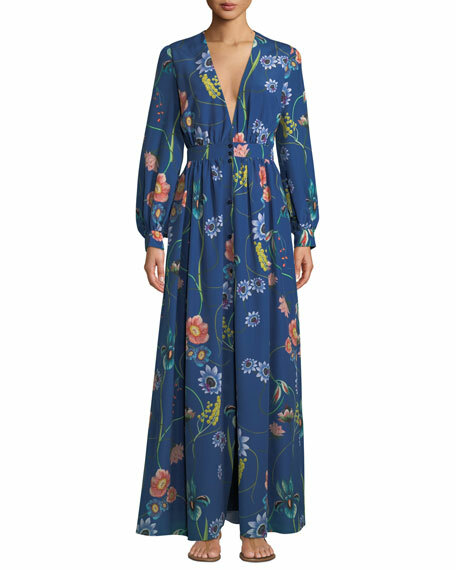 Alice + Olivia "Chantay" maxi dress with cutout back. Plunging neckline. Sleeveless; moderate shoulder coverage. Slip silhouette. Button closure at back. Back waist zip. 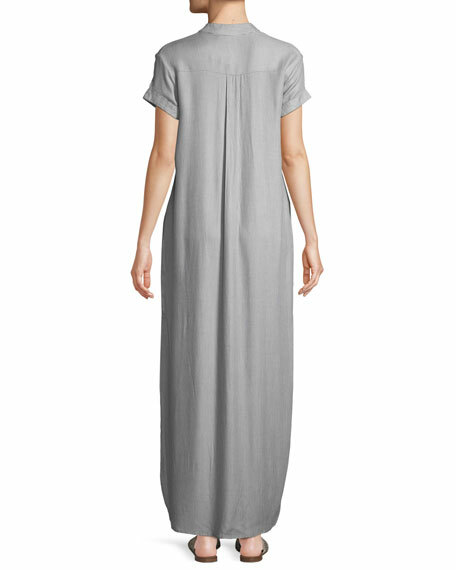 Tiered, asymmetric hem. Silk/spandex; lining, polyester/spandex. Imported.